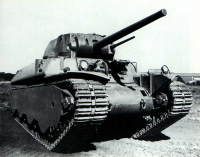 The T1 Heavy Tank is an American tier 5 heavy tank. 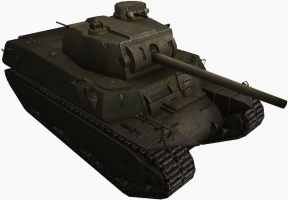 It plays very differently compared to Soviet counterpart, the KV-1, as most players do not consider the armour on the T1 Heavy very strong. 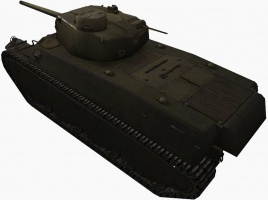 Although it lacks the KV-1's extended armament options, the upgraded M1A1 cannon sports great penetration and rate of fire, taking the T1 Heavy's firepower up to par with the KV-1's 85mm. 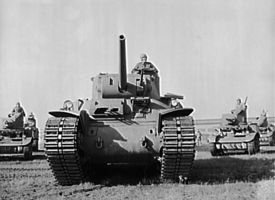 In addition, the T1 has a very powerful engine available as an upgrade, making the T1 a more mobile tank than its Soviet and British counterparts. 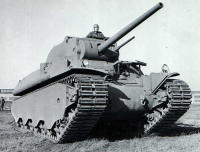 It has good frontal armor and very thick turret armor. 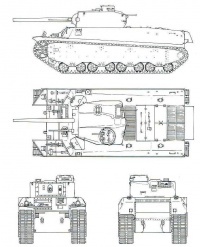 However, its long sides are very thinly protected, so keep your flanks hidden and expose only your front armor and turret to minimize incoming damage. At least, that's what they say. Keep in mind that the T1 is best played as a medium tank with the speed of a heavy tank, and not as a real heavy like the KV-1. Alternatively, you can hold chokepoints and use your fast firing cannon to deter others from attacking. 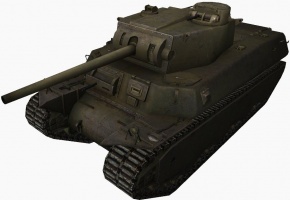 Do be aware that the T1 Heavy Tank requires more skill to play than the KV-1. 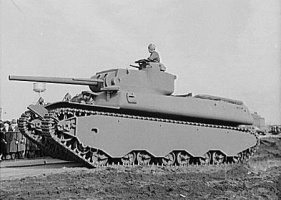 That said, in the hands of a good player adept at both medium tank and Hulldown (American Heavy) tactics, they will find this vehicle to be a very good tank. 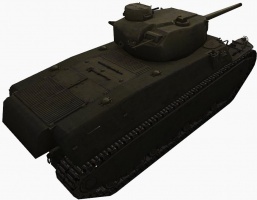 With the combination of good armor, good maneuverability, high DPM and high weight this tank will prove superior to tanks at its own tier and will prove a match to even higher tiered opponents. But only if they don't see you. 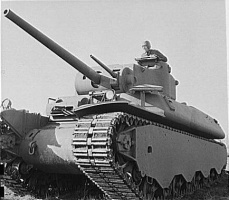 The T1 Heavy Tank leads to the M6. This page was last modified on 23 January 2018, at 13:04. This page has been accessed 383,268 times.